David Gordon was a colleague of David Davies in the Middle East. At the end of the war he returned to England to resume his studies. However he had caught the "microphone bug" so when the opportunity came up for a job on the English staff at LM Radio he jumped at the opportunity. He was the second English speaking announcer on LM Radio. Dona Emilia one of the original Radio Clube staff members, received huge fan mail from Portuguese and English speakers alike. It is her voice which beamed out over the air on the hour every hour in Portuguese and English with the station identification. "Aqui Portugal Mocambique fala-vos O Radio Clube em Lourenco Marques transmitindo em ondas curtas e medias". Dona Emilia was also responsible for the vast record library until her death in 1968. Bernard Lynch an Australian, joined LM Radio in 1950. Though in his early twenties when he joined LM, he had considerable experience as an announcer on Station 2SM in Sydney. He was a part time songwriter and enjoyed working in the theatre. Valerie Meyer was the first English speaking woman announcer on LM Radio. She was just 18 years old when she joined the announcing staff. She had wanted to study radiology but shortly after leaving school she became fascinated by the idea of broadcasting and joined the staff of LM Radio. Her background in drama and pantomime stood Valerie in good stead. She was responsible for the Hospital's and Children's programme. She left in 1953 to get married. Her programmes were taken over by Evelyn Martin. Gordon Roberts had eleven years broadcasting experience in New Zealand when he joined the LM staff in early 1950. His experience was very varied because it ranged from straight broadcasting to production, acting, compering and outside broadcasting. Gordon hosted the Magic Carpet programme which transported the listener to various countries around the world and played music from those countries. Rob Vickers Australian born joined the staff of LM in February 1951. Became David Davies right hand man and worked on the station until 1966. Best known for his daily programme "Teen Beat" which incorporated "Dial a Tune". Rob was responsible for the Johannesburg studios of LM. At one time or another also presented many other programmes, including "Your LM Hit Parade", "Wish you were here" and "Special Occasion". Rob has remained active in South African broadcasting until his retirement in September 2005. He was responsible for programme management at Radio SR and Radio 702 and has probably trained more announcers than anyone else in South Africa. Leslie Sullivan born Leslie Smulian, in England on 11 April 1916, moved to South Africa with his parents in 1938. After serving in the 2nd Battalion Transvaal Scottish in the 2nd World War he worked selling commercial property for JH Isaacs. He had trained as an estate agent in London with Samuel Messener. He also worked as a salesman selling Gestetner copy machines. However, even though he was a first class salesman, he never did really settle down selling and in March 1952 he joined Lourenco Marques Radio as an announcer. He took to the air waves like a duck to water and became one of the most popular LM announcers. In 1958 he was offered a post with the Federal Broadcasting Corporation in Salisbury, Rhodesia (now Harare, Zimbabwe). When commercial radio began in 1959, Leslie was the first morning announcer on the new commercial service. He remained with the Rhodesian Broadcasting Corporation until he retired from radio in 1976. The Rhodesian prime minister Mr Roy Walensky was heard to say that second to himself, Leslie was the most popular figure in Rhodesia. He was certainly the most well known broadcaster. His catchphrase was 'Your little ray of sunshine'. Leslie died in 1978. Ken Shaw worked at Lourenco Marques Radio in 1952/53. Don Burdett known as the golden haired boy because of his golden blonde hair. He is thought to have worked with David Davies either in the middle east or in Europe before WWII. Don was with LM Radio for a while in 1956/57. From there he moved to Rhodesia where he worked at the Federal Broadcasting Corporation in Salisbury. Barry O'Donoghue. Barry worked as an announcer on Springbok Radio in the 1950s and later did a stint with Radio Luxembourg in Europe. He joined the LM staff for a short period in the late 1960s as Barry O'Dee and in the early 1970s was an announcer with Swazi Music Radio.He died in Johannesburg in the late 70s. Martin Allan a young Australian joined LM in the mid fifties. His name was actually Allan Martin, however David Davies said that there could not be two people with the surname "Martin" (the other was Evelyn Martin); he was renamed Martin Allan. Michael Daffy After a spell as announcer on LM in the early 60s he went on to run a successful commercial radio and TV production house in Salisbury, now Harare. Colin Bower is an actor and initially worked in Radio and theatre in Canada. He was seduced by the warmth of South Africa and moved to Johannesburg in the mid 50s where he worked in the paper industry. He worked part time for the SABC English service and presented a programme of music with melody. He successfully obtained a job on LM in Lourenco Marques and loved the Mediterranean lifestyle. He had to cut short his contract when his father fell ill back in England. Colin continued broadcasting and worked on the BBC local radio station in Nottingham where he lives. Though officially retired, Colin still does the odd bit of free lance broadcasting and is also in demand as a public speaker. Paul Nel Paul started his career as an entertainer on cruise liners which frequented Lourenco Marques. It was during one of these visits to Lourenco Marques on board the ship SS Karanja in 1955 that Paul was offered an announcer's job. Besides being an announcer, Paul is also an accomplished musician and in 1961 he recorded a record album entitled "Give me Love". The title song reached number 6 on the LM Charts in Sept 1961 and stayed on the charts for 11 weeks. This was closely followed by "Lonely" from the same album which reached number 10 and spent 9 weeks in the charts. Paul rejoined LM Radio and was the first ever "All Night Jock" in Africa when LM went "all day and all night" from 1 March 1964. Some of the programmes which Paul hosted on LM Radio include "Records of the week", "Special Occasion", "In the Mood" and "Music through the night". Paul was one of the first announcers on Manx Radio on the Isle of Man where he was seconded to help launch and then train the disc jockeys. When he returned to South Africa he managed the LM Radio owned Discotheque in Hillbrow and for many years ran the record division of Dions stores. He is now retired and lives near Durban. Robin Alexander was born in rural Natal and started his broadcasting career on the SABC English Service in Durban. He then went on to join LM Radio in Lourenco Marques. He later moved back to the South Africa where his voice became synonymous with the SABC all night radio show, Radio Orion. He was also one of the founding staff announcers on Radio Highveld in 1964. In recent years he appeared on the Johannesburg community station, Radio Today. George Wayne was born in Johannesburg in about 1941and was the presenter of "Special Occasion" with Evie Martin and George Wayne's Sunday Afternoon Show. He started his broadcasting career as a technical assistant at Springbok Radio before joining LM Radio as an announcer. He left LM in 1964 and moved to Australia where he first worked for a rural radio station in Sale, Victoria, then 2WG in Wagga Wagga, New South Wales and eventually the rock station 2SM in Sydney. In later years he joined the non-commercial Australian Broadcasting Commission's youth station 2JJ (Later 2JJJ) in Sydney where he was regarded as an expert in new popular music. He died in Sydney in the early 1990s. Gerry Wilmot was born in Victoria, British Columbia, Canada and is listed in the Guinness Book of Records as the world's fastest sports commentator. Gerry began his broadcasting career as an Ice Hockey commentator on the Canadian Broadcasting Corporation. During World War 2 he was a CBC war correspondent from London for which he was awarded an MBE. In 1944 and 1945 he compered a number of Expeditionary Forces variety and music programmes. Gerry worked on Radio Luxembourg in the mid 50s before moving to the island of Bermuda where he was involved in the management of one of the local television stations. From there he went to Salisbury, Rhodesia (now Harare, Zimbabwe) where he worked for the Independent Television Company which was owned and operated by Richard Meyer's group and a sister to LM Radio. In 1962 Gerry moved to LM Radio to replace Rob Vickers who had moved to Johannesburg. When LM Radio closed, Gerry was one of several Radio Clube employees who were absorbed by the SABC and he became a music programme compiler on Springbok Radio. He died in Johannesburg in 1978. Al Willox presented an programme aimed at Afrikaans speaking listeners in the breakfast slot just after Bessie van Vuuren. He was also the compere of a live LM road show which took place a Babsfontein. Bessie van Vuuren the popular early morning presenter of the programme "In Ligte Luim" which aired daily at 5am. Dana Niehaus and Marie Tjaden presented the Dana and Marie show. Darryl Jooste was born in Springs on 21 January 1946 and educated in George and Margate.He was the youngest ever announcer aged 17 when he joined LM Radio in 1964. He later worked for Swazi Music Radio, Radio 5, Springbok Radio's Radio Record Club and then the SABC English service where he wooed listeners from his imaginary 'rock pool' in Durban on the Open House programme. Together with Michael Meyer he created the English Service radio show "Take a Chance". It was on this show that the multi-voiced Darryl developed characters like Miems Meiring, Oom Gert and Wouter Marais, some based on members of his own family. He died tragically young in Johannesburg on 21 March 1982 after a long battle with alcoholism. John Berks was born in Krugersdorp on 24 September 1941 and grew up in Klerksdorp. He worked in a soap factory and at the Germiston Advocate newspaper prior to passing an audition with LM's Gerry Wilmot having been turned down the previous year by Rob Vickers. John moved back to Jo'burg as programme manager in 1969. He left LM in 1970 and worked variously for Swazi Music Radio, Springbok Radio, Capital Radio 604 Transkei and Radio 5. His most significant move was to Radio 702 in October 1981where he became the most popular voice on the air. He left 702 in the early 90s but went back to join Gary Edwards who had been the station's programme manager to co-present the John and Gary talk show. John finally retired from 702 in the late 90s but is still much in demand as a public speaker. He lives in Johannesburg. Gary Edwards was born in Durban on 5 May 1945 and his first radio job was as a technical assistant with SABC. He joined LM Radio in August 1966 and was a popular announcer in the late 60s. Gary left LM in 1969 to work for Radio 6PR in Perth, Australia, but soon returned to his native South Africa where he worked on SABC Radio RSA and in 1972 Swazi Music Radio. From there he joined the new SABC Television service as a journalist and newscaster. In 1977 he returned to radio joining the SABC English Service. In 1980 he became the news editor of Capital Radio 604. In 1981 he moved to Radio 702 where he stayed until 1996 when he became programme director of Highveld 94.7 after its takeover from SABC by Primedia, owners of 702. Gary also did a stint at Cape Talk, 702's sister station in Cape Town before retiring to Sussex in England. Lorna Harris from Florida near Johannesburg, was probably LM Radio's only university graduate! After being educated in SA and France she became an air hostess with South African Airways. Lorna was a natural linguist, fluent in English, Afrikaans, French, Spanish and Portuguese and was discovered by David Davies when he heard her voice making in-flight announcements. She rapidly became a popular voice on the air. Lorna was an adventurous girl and eventually went off to hike around South America. She later lived in Barcelona where she taught English before returning to South Africa where she eventually married and settled down. David Gresham joined LM in the mid 60s and stayed for 2½ years. Though a very popular voice on LM, David's heart lay elsewhere; composing and recording songs and music. David returned to Johannesburg to take a PR job with Teal records and to present his own radio show on Springbok Radio - the 4.30 Special which eventually became the David Gresham Show which aired from 4 - 6 pm Monday to Friday. A few years later he took over the SA Top 20 (the Official South African Hit Parade) on Friday nights and SA Hits Of The Week every Saturday at 5.00pm. David presented Variety Show on test TV in 1976 and was the first ever DJ with a Pop TV show "POP SHOP" which he presented for two years. A few years later he moved on to EASY BEAT on TV for another two years. He was the longest running presenter of the official SA Top 20 Hits ... 21 years in all. In 1972 David set up his own record company which remains one of the leading independent record companies in SA. Dan Groenewald worked for LM in Lourenco Marques for a short period in 1966. However he never really settled down in the Lourenco Marques lifestyle and moved back to South Africa where he worked as a back-room boy for the SABC. He subsequently left broadcasting and has pursued a career in mechanical engineering. Christopher Musk LM Radio's London correspondent. Chris recorded a weekly broadcast called "Hotline from London" which brought the latest record releases and news together with interviews with the stars. After the close of LM, Chris continued to send the latest releases in the UK to Radio 5. Chris was also a broadcaster on Radio Manx which was a sister station to LM Radio and the first commercial radio station on British soil. Clarke McKay was born in NSW, Australia. After a successful broadcasting career in Sydney he came to South Africa in the early 1950s and became one of the top names on Springbok Radio. He moved to LM Radio in 1964 to help boost flagging listenership caused by the increasing popularity of the SABC regional services which broadcast on FM. In 1968, after a spectacular fall-out with David Davies, he became the morning presenter on SABC English Service and later re-joined Springbok Radio presenting the afternoon 'Real McKay show'. When 702 started in Johannesburg in 1980, Clarke was the first breakfast show presenter, a post he held until John Berks joined the station and took over the slot in October 1981. Clarke ended his radio career as producer and presenter of the then South West African Broadcasting Corporation's morning radio news programme. He died in Windhoek. Glen Smith from Florida, near Johannesburg, was known as Good Guy Glen. He worked at LM from 1968 to 1971 when he left to set up a business with his father-in-law. For a time in the early 1980s he also worked as traffic reporter for Radio 702 in Johannesburg. He now owns a hardware and home improvement business in Durban. Reg de Beer was born in 1947, and started school in Durban. His family then moved to Johannesburg where he studied to become a teacher. He was auditioned by LM Radio's newly appointed programme manager in Johannesburg, John Berksand became a popular broadcaster with LM from1968 and then moved to Radio 5 when LM closed. He subsequently worked on Radio Highveld and later became programme manager for SABC Radio Port Natal in Durban, a station which subsequently became East Coast Radio. From there he joined SATOUR, the South African Tourist organization and was based in Buenos Aires and London. He later joined MNet Television in Johannesburg but has since left broadcasting. Fritz Greyling was born on 10 October 1947 in Hengelo in the Netherlands, but grew up in Kroonstad in the Free State. He was fluent in English, Afrikaans and Dutch and joined LM where he was known as 'your tall groover' from 1969 until the station closed in 1975. Later he joined Dions stores in Johannesburg where he worked with Paul Nel in the record division. He then decided to return to Holland where he worked for a long time as a presenter with Radio Nederland Wereldomroep English Service in Hilversum, while at the same time acting as the SABC's correspondent in Holland. He came back to South Africa in the early 1980s and joined Radio RSA (then, the SABC's international service) as a journalist and presenter with the Dutch Service. He was also South African correspondent for several Dutch radio stations. He died in Johannesburg in 1994. Frank Sanders was born in Randfontein on 26 April 1948. He joined LM Radio in 1970. 'Lanky Franky', as he became known, was a constant voice on LM until he joined Swazi Music Radio in 1973. In 1980 he became one of the first voices on the newly established Channel 702 (which later became Radio 702). He continued as presenter and music manager until he left the station in 1996. He retired to Durban but died shortly afterwards. Harold West worked at LM from early 70s until the station closed in 1975. He left radio for a calling into ministry and studied to be a Pastor. Today he pastors large congregation. Bob Whitfield took over as programme manager when John Berks left LM Radio in 1970. He had been an announcer some years previously and also opened the company's LM Discotheque at the Beach Hotel in Durban in the early 1960s. In later years Bob worked behind the scenes at Radio 5. He died in the 1980s. 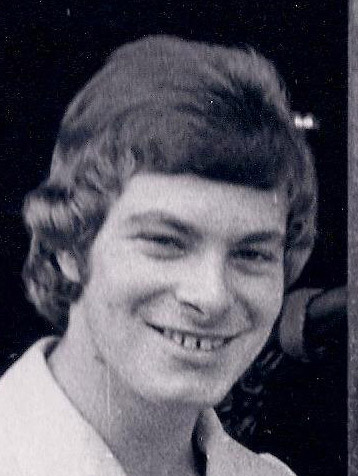 Leon Fourie joined LM Radio in June 1969 as a nineteen year-old for his very first on-air opportunity. Radio, and especially LM Radio was very exotic in those days and “personality” on air still mattered. It was the time of all the greats of SA Radio: Douglas Laws, David Davies, Darryl Jooste, John Berks...there are too many to mention. He had the honour of learning his craft from these wonderful, inspirational characters”. Leon was the first DJ in South Africa to introduce Progressive Rock Bands to the listening public. Bands like Black Sabbath, Deep Purple, Pink Floyd, and Led Zeppelin caused quite a stir with station management at the time as the order of the day was pop music. This would lead to certain amount of success later on at Swazi Music Radio with the programme “Innovations” He left LM in 1970 to continue his career on SMR as their first locally employed DJ and eventually moved to England, worked there for 15 years and returned to South Africa in 1989 to pursue a full time career in voice-over work. 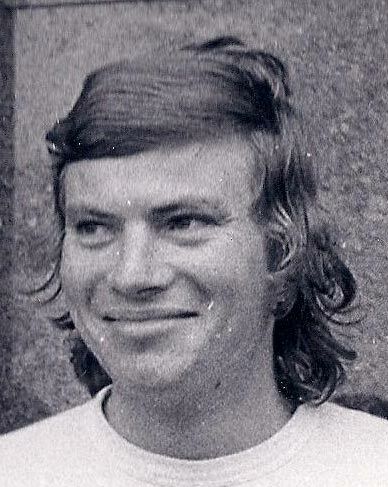 Malcolm Gooding worked on the station in the last year from 1974 to October 1975. He was one of the announcers who moved over to Radio 5 when it launched on 13 October 1975. John Novik worked on LM Radio in Lourenco Marques and then joined Radio 5 when LM Radio closed on 12 October 1975. He was known as the man of many voices. 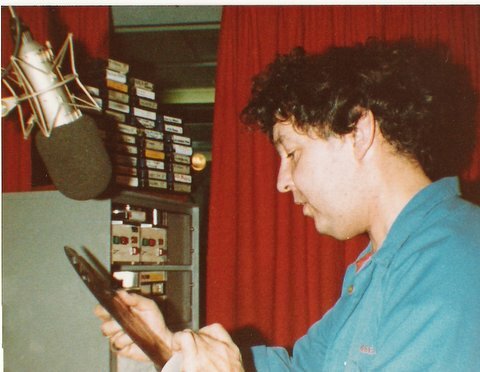 John did several stints on community radio in Johannesburg in the early 1990s. He subsequently retired from radio to persue voice-over work. John died in Johannesburg in 2015. Peter De Nobrega grew up in Johannesburg and from a young age wanted to be on the radio. He pursued his passion and worked at the Wits Campus radio station. His dream was finally realised when he successfully auditioned for LM. Peter worked on the station in LM from early 70s when he made the closing station announcement from Lourenco Marques in October 1975. The very next day saw Peter pick up the reigns at Radio 5 in Johannesburg where he continued a very successful career. Peter subsequently went on to become the head of programming at Radio Jacaranda, a post he held until the station was acquired by new owners in 2005. He lives in Johannesburg and contributes a weekly Sunday night music show on the newly re-launched LM Radio. see: www.lmradio.net.